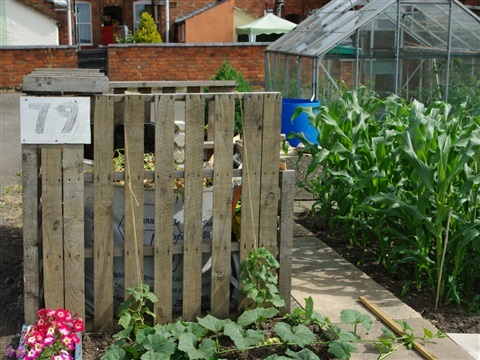 Probally the most commonly used compost bin on allotments is the bin made from old pallets. The simplest version consist of four pallets wired together. The simplest bin can be made using four pallets or if you want to add a floor, an additional pallet is required. Stand the pallets on their sides with the longest side on the ground. The three pallets that are to form the sides and back are then wired together using 18" lengths of wire using pliers to twist the wire tight. Two lengths on each of the corners should adequate. 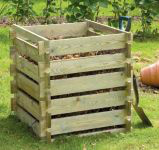 Insert a wooden plant support, a length of 2”x2”, metal pole or something similar inside each pallet at the three corners and drive it about 12” into the ground so as to provide support.. 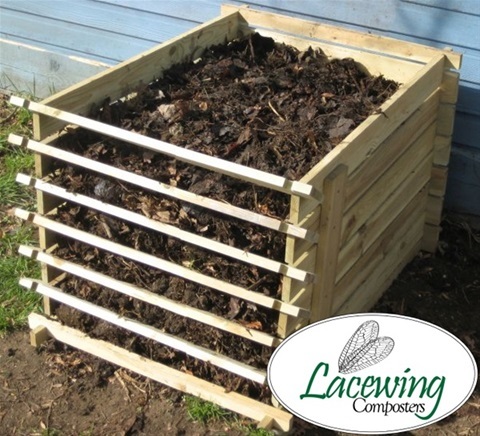 The pallet forming the front of the bin can be wired on with two lengths of twisted wire to make hinges and a single length of wire on the opening side so that it can be opened like a gate or wired losely on both sides so that it can be easily removed to turn or harvest the contents. 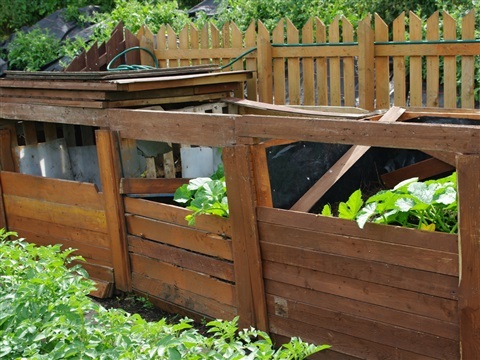 A smarter looking compost bin can be made by dismantling the pallets (not always an easy job) and using the boards fixed to a frame or supports to make the sides and nailing them to four wooden corner posts. These could be 2”x2” or even 4”x4” fence posts. Whether or not these are first knocked into the ground to secure the bin in position is a matter of choice. I now take the view that it is better to be able to move the bin if required so I keep it free standing. The boards can be nailed, or screwed, to leave gaps between them allowing better ventilation or pushed together to make a solid side to provide better insulation.The simplest way to make a front is to make an additional panel that can be wired in place. Alternatively the front can be made so that individual boards can be slotted in place removed one at a time to harvest the contents. 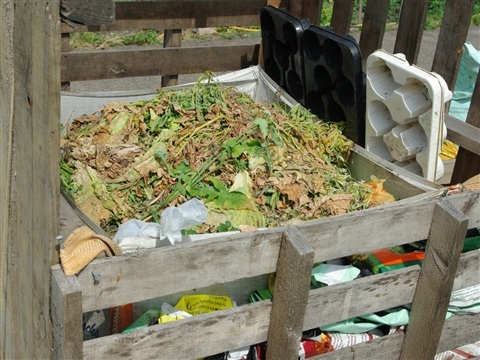 When using pallet bins there are advantages in building three or four in a bank so that the composting material can be turned from one bin to the next to aerate it. 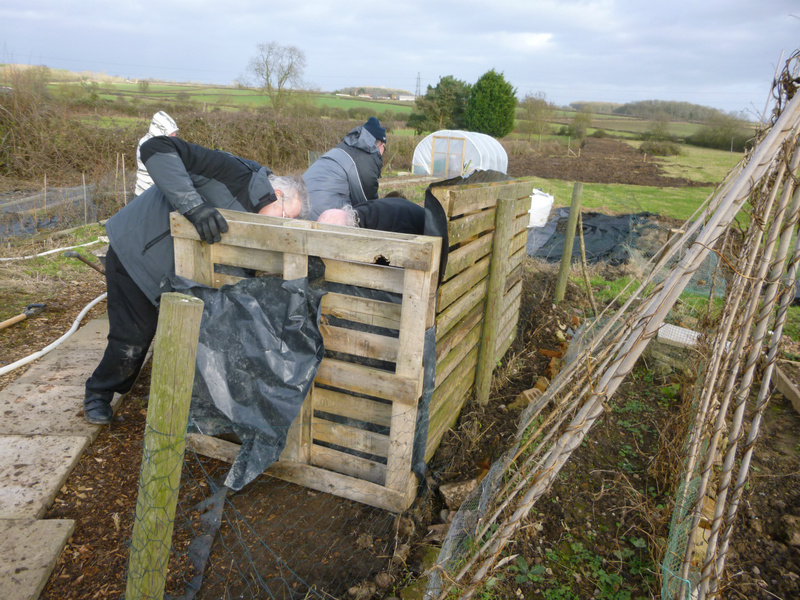 The compost can be covered by carpet or plastic to help retain heat and prevent it becoming water logged during prolonged periods of rain. If a fifth pallet is available it can be used as a lid or further cover. Pallets can normally be obtained at no cost from builders, distribution companies etc. 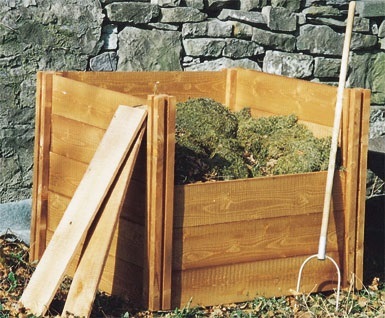 Primrose are among those companies that sell a wide range of wooden bins. 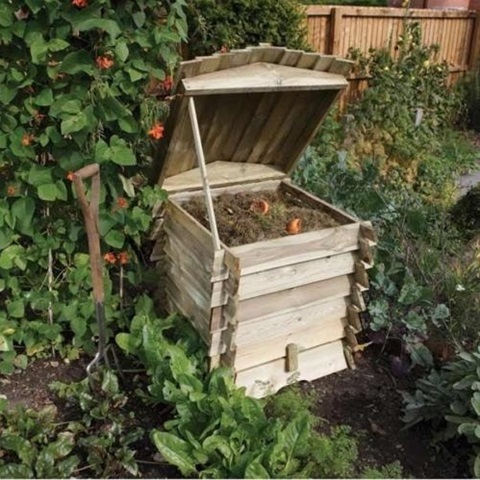 The model shown is an Easy Load compost bins so called as it has removable front slats making it simple to fill compost bin and dig out mature compost from the bottom. 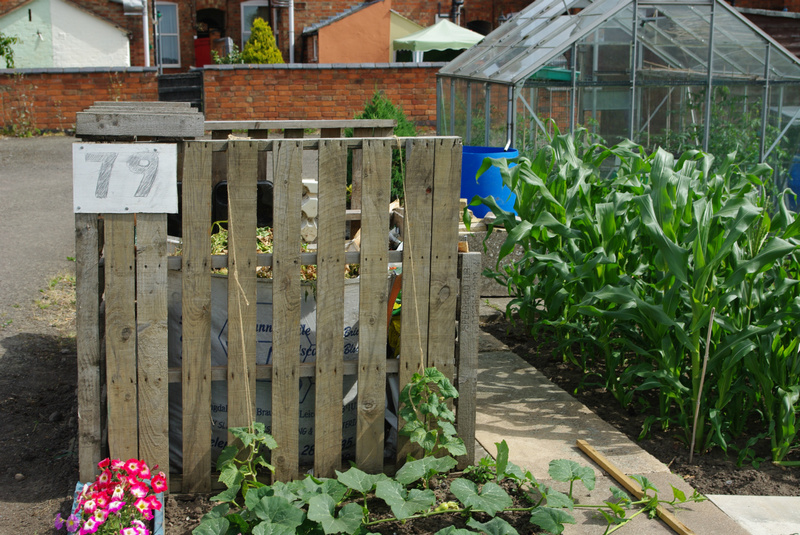 Traditional style compost bins still have a place in the garden and especially on the allotment. 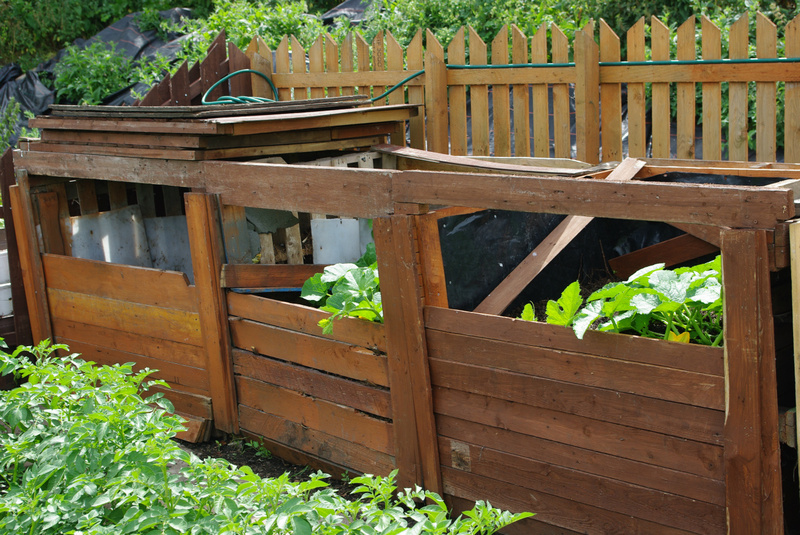 Wooden composter garden waste into compost. This composter shown is one of a range of traditional slated bins sold by Primrose ranging from 373 litres to 893 litres with an extra large model for the serious gardener. It is supplied in an easy to assemble flat pack kit that just slots together. 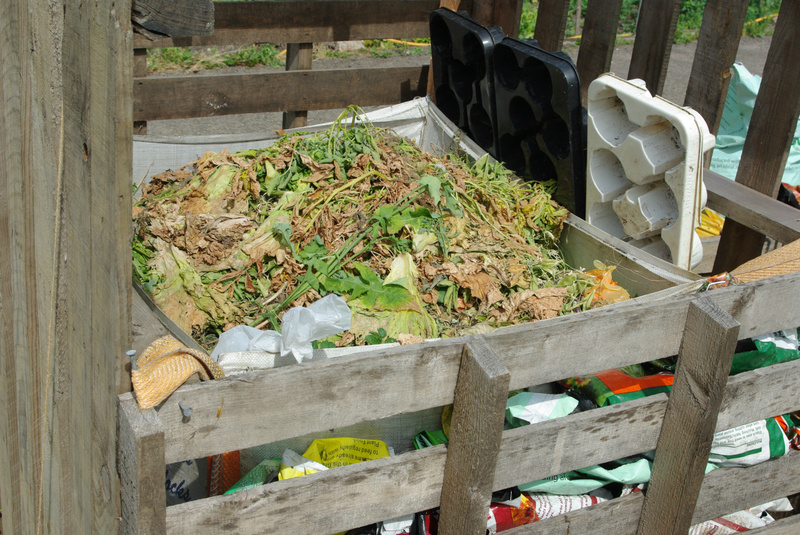 The advantage of commercially supplied wooden bins over a pallet bins is that they are normally pressure treated and guaranteed against rot for 15 years. Price £32.99 -£55.99 for the extra large 1575 litre bin. Modules can be added on any side in the future to extend capacity to provide three or four bins for easy turning. Optional wooden lids and Compost Duvets are available .